Model home merchandising experts at Frosolone Interiors provide you with the checklists below to assist you in your model home merchandising plans. Please use the links below to view our checklists. If you would like a printable version of the checklists, please click here. Successful housing communities reflect and respect the distinctions of their region, even though it may seem that our nationalized retail chains have created a sort of consumer melting pot. 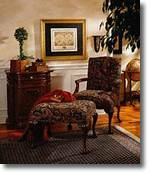 E-commerce and Web sites like marthastewart.com and furniture.com as well as interior furnishings stores like Crate and Barrel and Pottery Barn offer the most recent home fashions, but often with limited, generic choices. Effective model interiors should mirror distinctions of the community. It is imperative to identify the finer points of the market you are developing. We are versed in your community's cultural personality, taking into account, geography, history demographics, the economic base, and local color. The interiors' furnishing budget can range from a low end of $15 per square foot upwards of $55. per square foot. With today's current architectural features such as high ceilings and pitches, square foot budget allocation must allow the designer to not only furnish the living space, but the volume space, as well. When you are at the point of choosing the Frosolone Interiors Design Team, you can be certain you are hiring a professional model home merchandising team versus interior decorators. The difference is very real. Frosolone Interiors understands model homes are an integral part of the entire community presentation geared to selling housing. 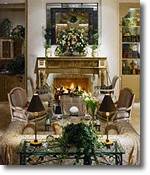 We specialize in model merchandising, not in selling furniture or in decorating home for an individual client. By going through professional organizations such as National Association of Homebuilders you can get references from other home builders in your region who have used designers for their model homes. A design firm should be retained at the time of preliminary architectural drawings The design firm should critique drawings for optimum traffic flow, window and door placement, and furniture layout.